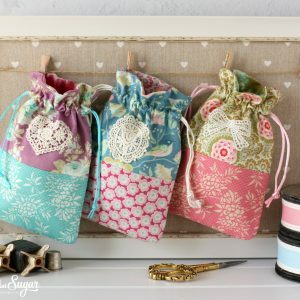 I love to incorporate some hand made elements into my Holiday gift giving. It can be challenging to find handmade ideas to give men for Christmas. 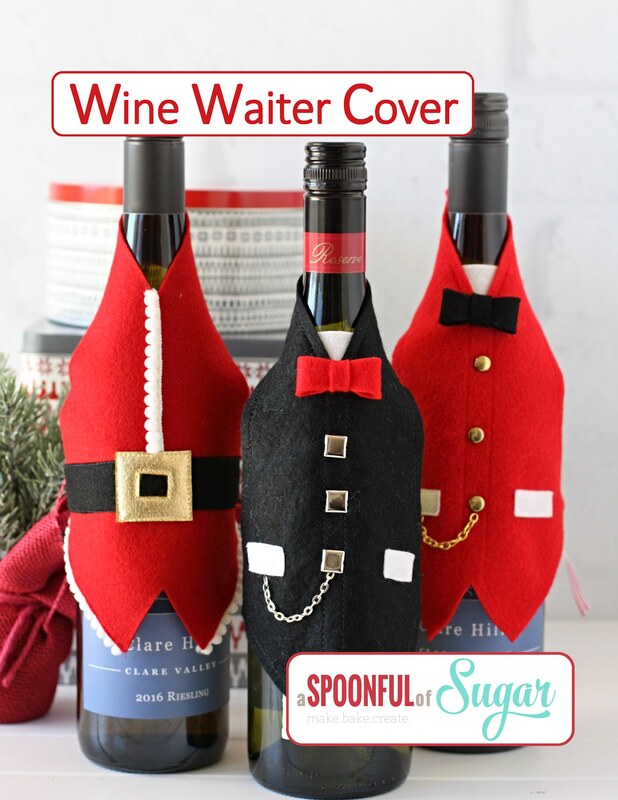 My latest pdf sewing pattern includes directions to make both the Wine Waiter Cover and Santa Waiter Cover. 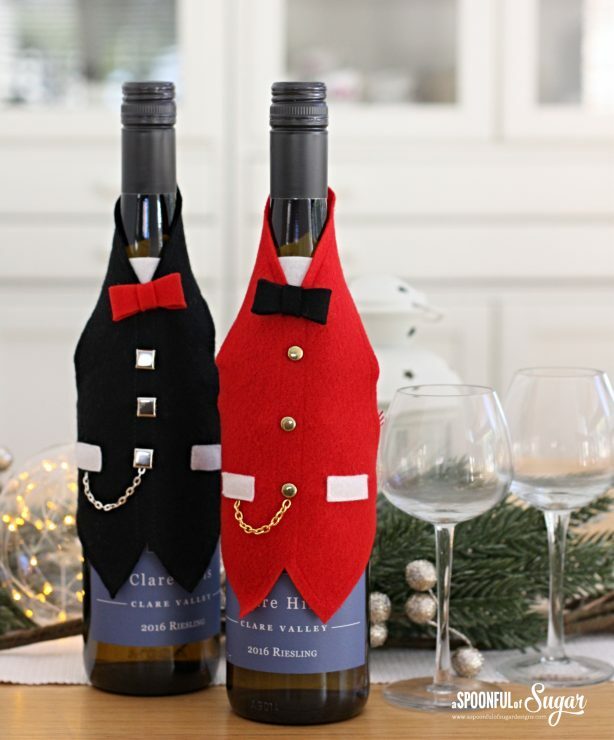 This is a beginner sewing pattern and is a fun way to dress up a wine bottle for gifting. Wine Waiter cover is made using wool felt so it only requires minimal sewing, making it beginner friendly and suitable to be made in under an hour. It features metal buttons and a fob chain. 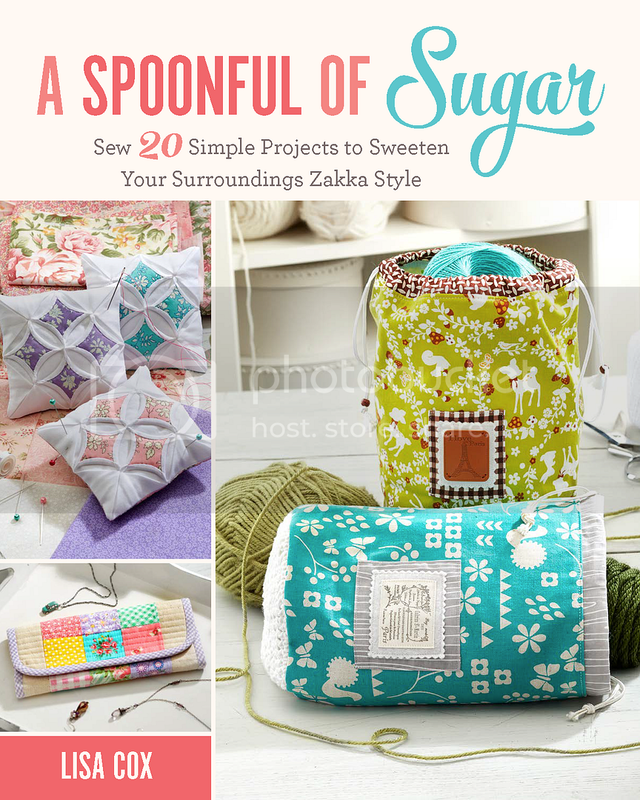 It is fun to mix and match the colours of the felt to suit the occasion. There are some fabulous glitter and metallic felts available now if you want to add some extra holiday sparkle. 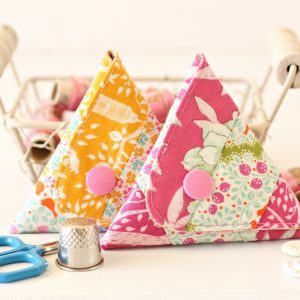 You could set up a production line and make Wine Waiter Covers for teachers, neighbours, coaches, or Secret Santa gifts. 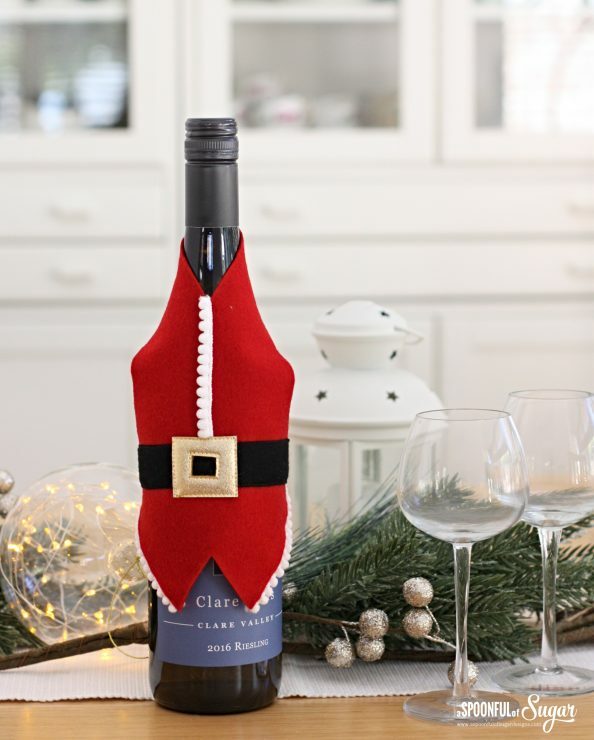 Also included in the pdf pattern is directions to make the Santa Wine Cover, which is a simple adaptation of the Wine Waiter Cover. You can find the Wine Waiter Cover pattern available for immediate download in our Craftsy and Etsy store. 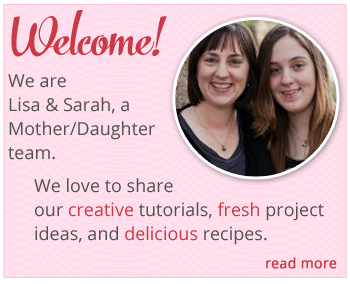 The 11 page pdf pattern includes full directions, templates, and lots of photos to guide you through the construction.